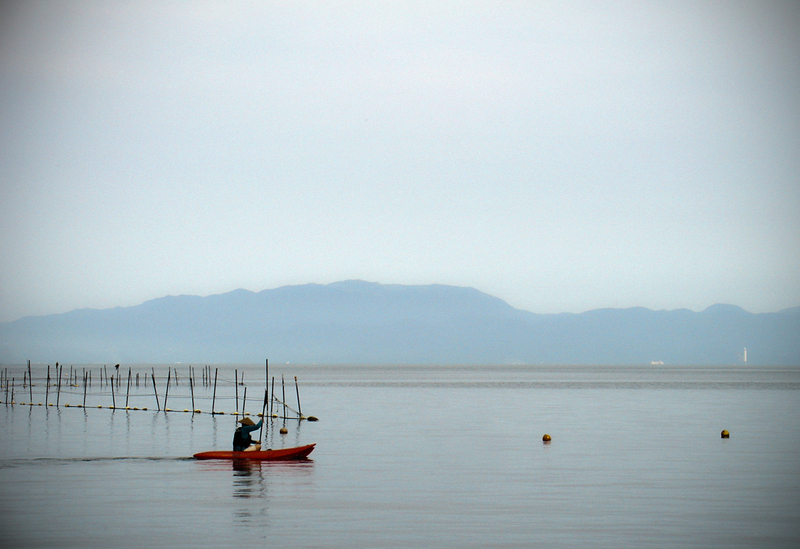 Last weekend I went to Lake Biwa with friends from my university. 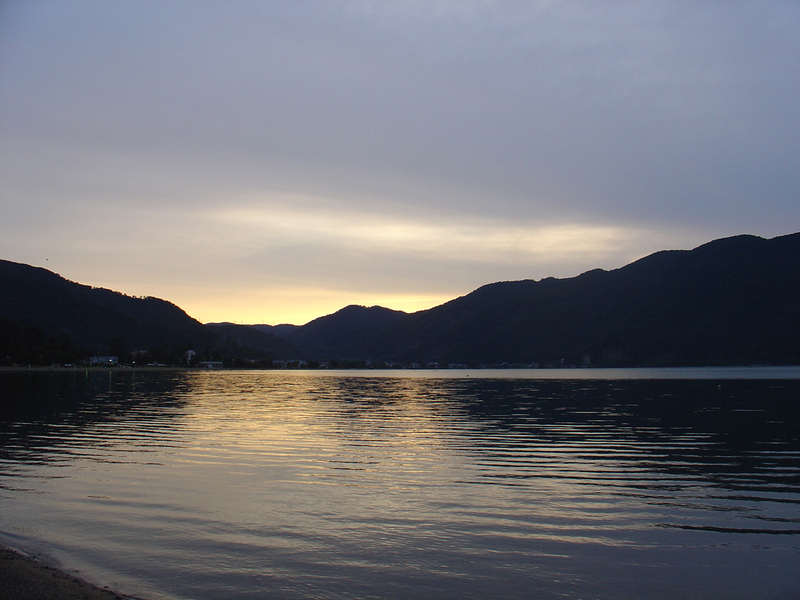 It is the largest fresh water lake in Japan and is very close to Kyoto. 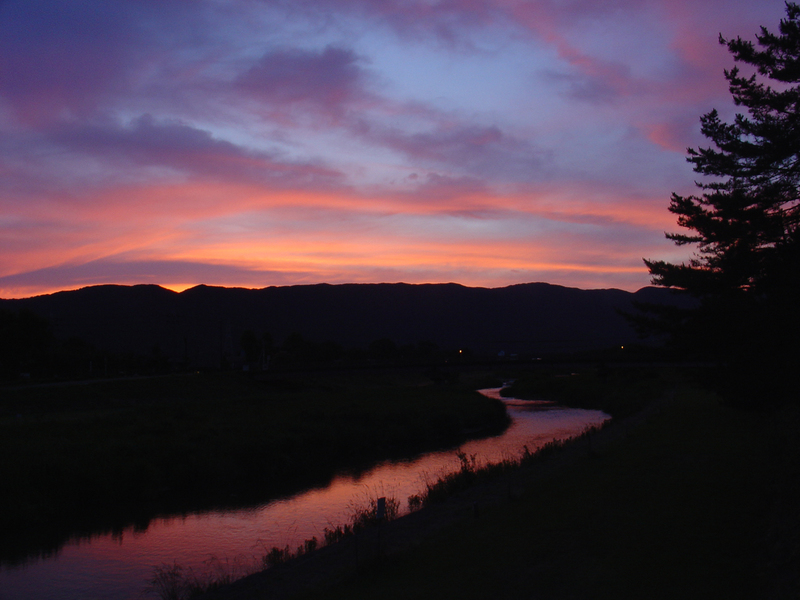 We took the train from Kyoto Station, which takes about one hour, to a beautiful spot at the northern coast. 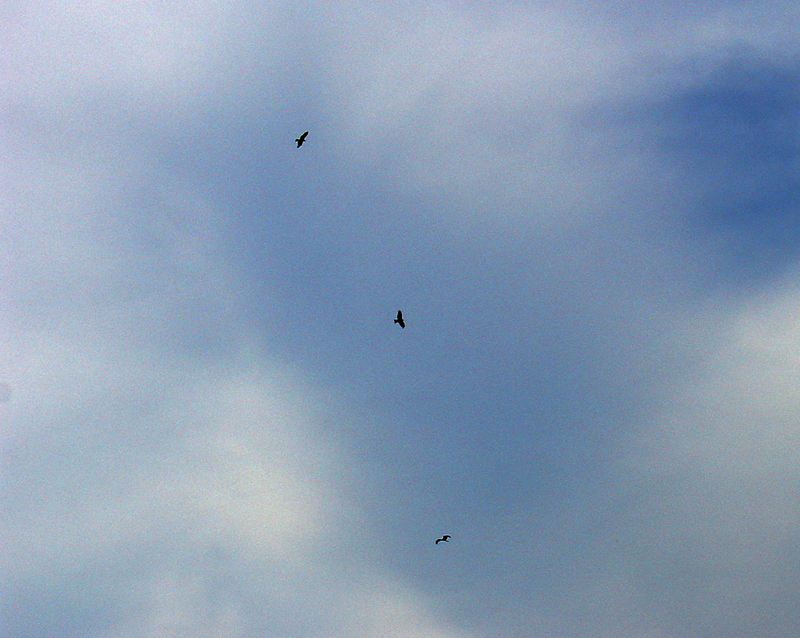 The rainy season spared us for the weekend and the sun shone for us. At the lake we went to a camping site and rented two tents, which were set up rather quickly. 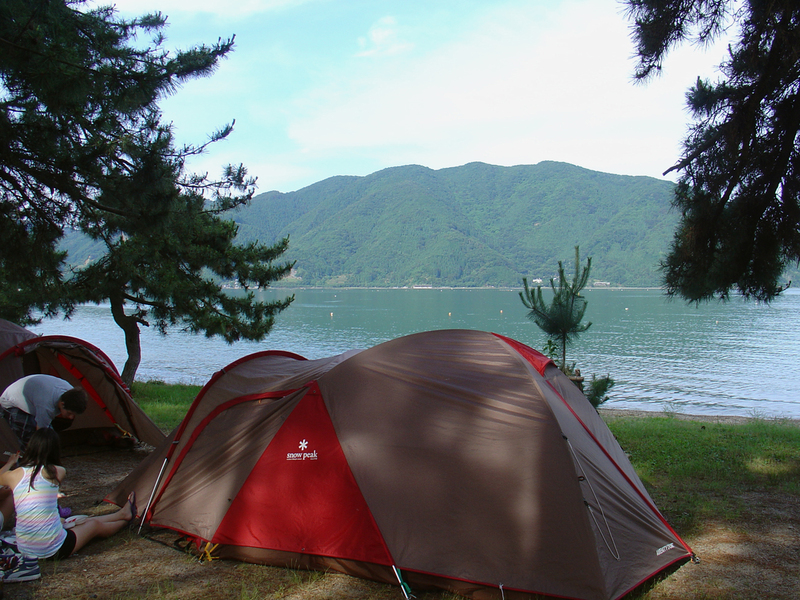 The camping site was not crowded at all, probably because the Japanese are careful during the rainy season. Basically we had a big area for ourselves and no one was disturbed by the ‘Gaijin Invasion‘. 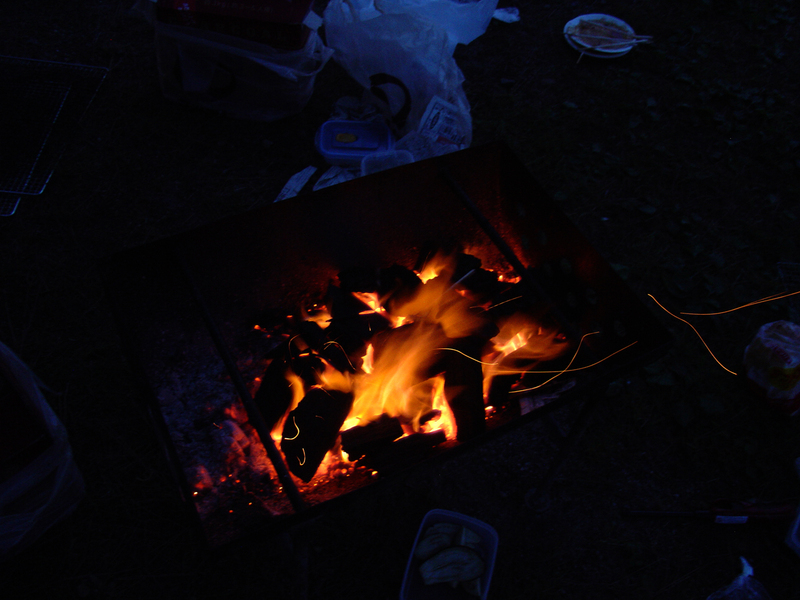 We also rented a barbecue and grilled ourselves some delicious meat. 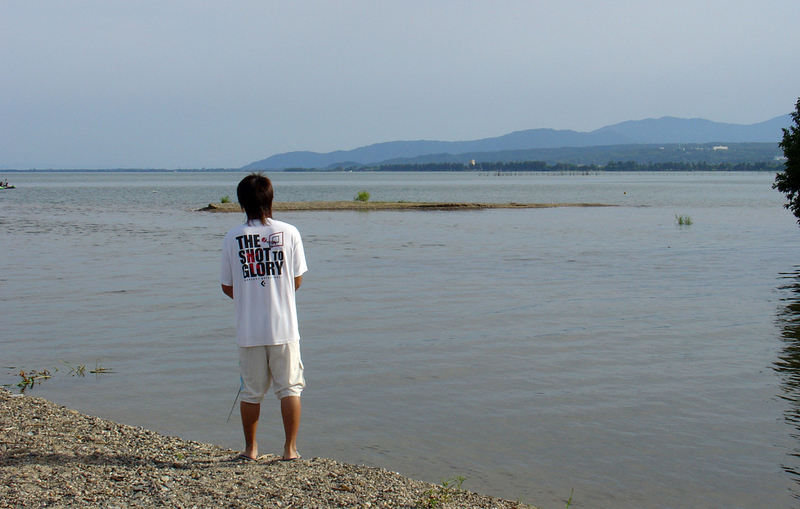 The temperature of the water was rather cool and so perfect for a quick refreshing moment. 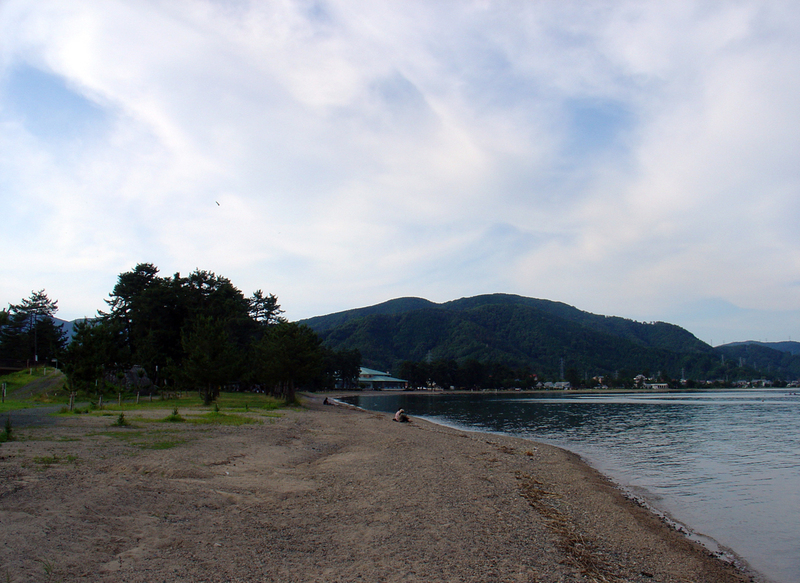 Most people did not go swimming in the lake because they could not bear the temperature. 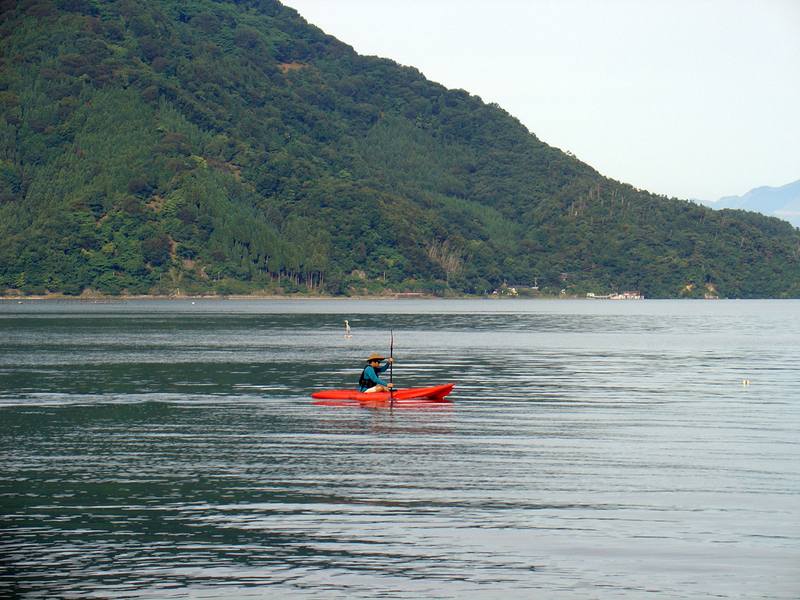 But apparently the lake is also very popular for Japanese people for boating and fishing. 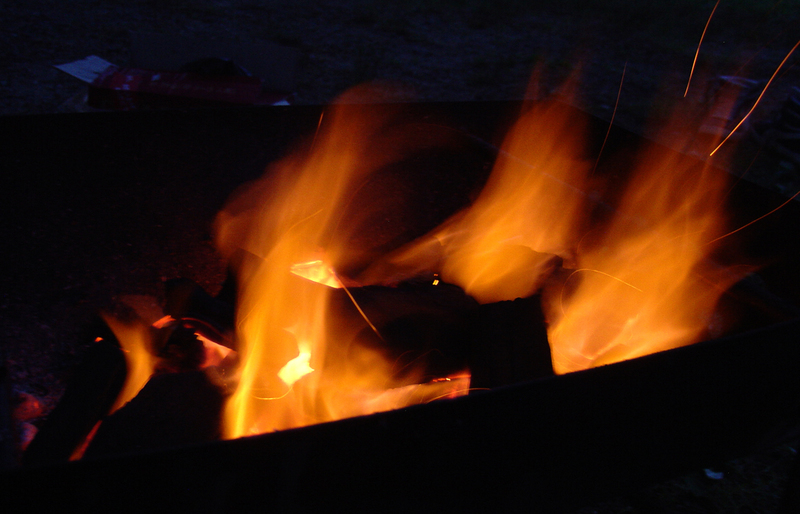 When the sun had set we gathered around the barbecue and played games and enjoyed some beers. 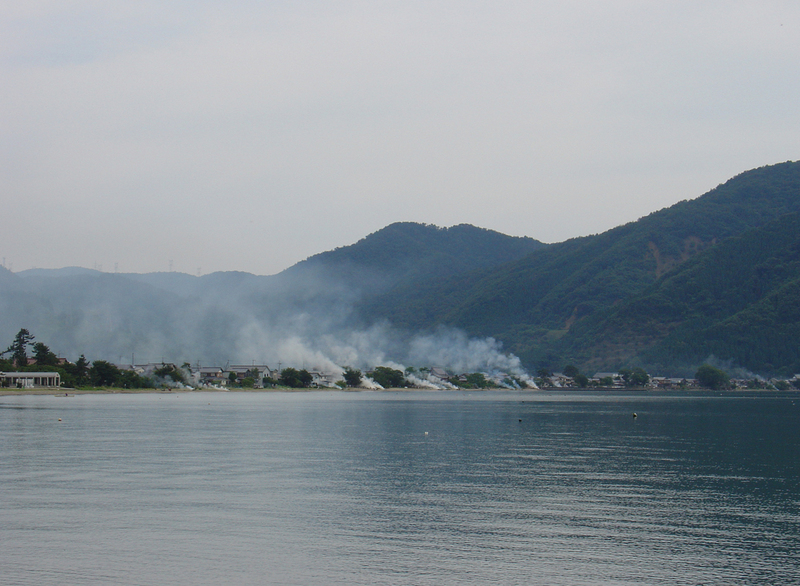 When we woke up the morning after we could see smoke at the other side of the lake. Most likely the local people gathered trash from the beach and burned it. Pictures can be found in the gallery below. it’s good to see that you like it there. How are things going? Maybe you can find time to post something about your everyday life?